I visited Newport Beach, California, recently for work. I flew in to LAX via Hawaiian Airlines. My coworker and I got our rental car and proceeded to hit the freeway during the after work hour and drove to Newport Beach. It took us almost two hours to get there. 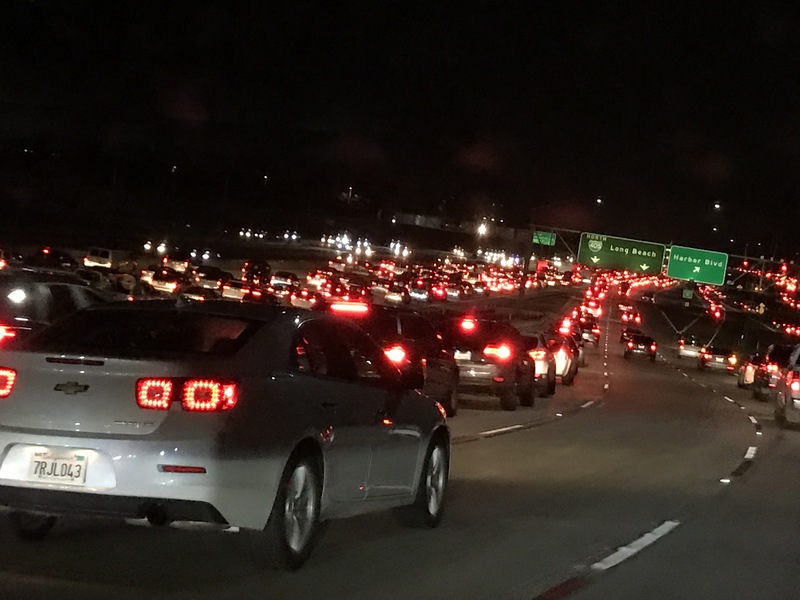 In comparison, when we drove back to LAX on a very early Saturday morning, it took us only 40 minutes to get to the airport. Our work trip included our participation in a workforce development conference specifically targeted toward community colleges. If you want to know more about the conference topics, let me know and I can fill you in. For the rest of you, I’ll be filling you in on some restaurants we visited while we were there. Even on work trips, we still have to eat, right? Our first dinner was at a Spanish tapas restaurant called Pueblo. 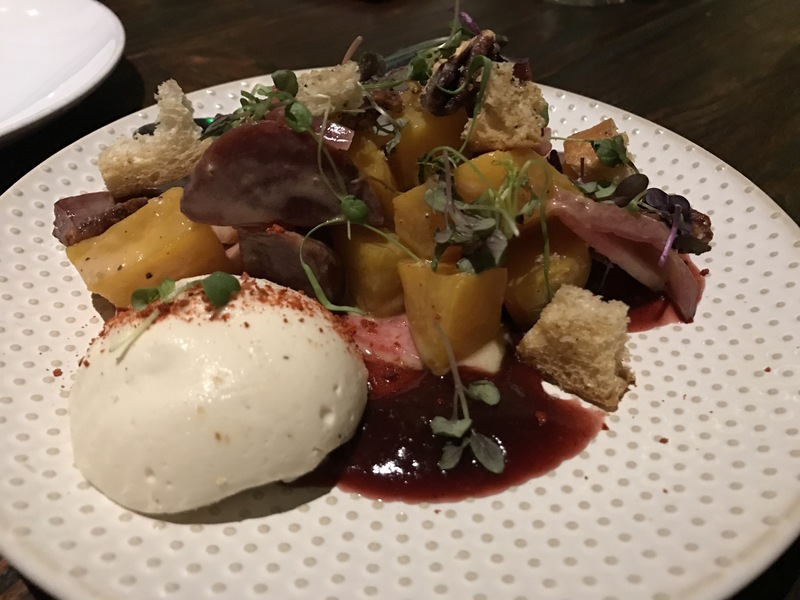 My favorite dish was the Remolacha–golden beets, local berry, Spanish cheese’cake’, and pecans. Delish! We ordered a special that was not on the menu… a breaded eggplant dish in a spicy marinara-type sauce. I loved the Gambas al Ajillo–sauteed prawns, tiger shirmp, garlic, and green olives. 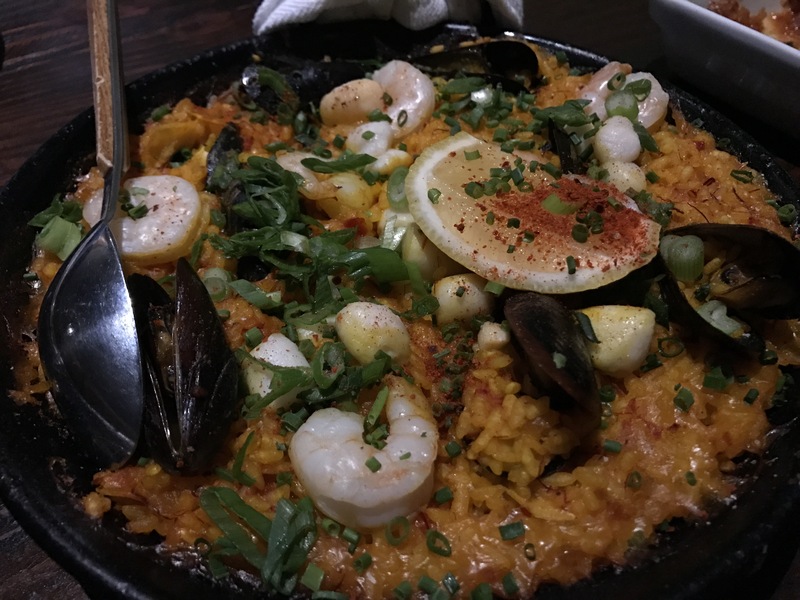 My friends and I have been talking about paella lately and thinking about planning a paella party. So I really wanted to order the paella dish which was also on the specials menu. I don’t have the chance to order this dish very often in Hilo. We finished by sharing a couple of scoops of ice cream. The perfect end. I also found time to hit the gym in between attending the conference and eating good food. 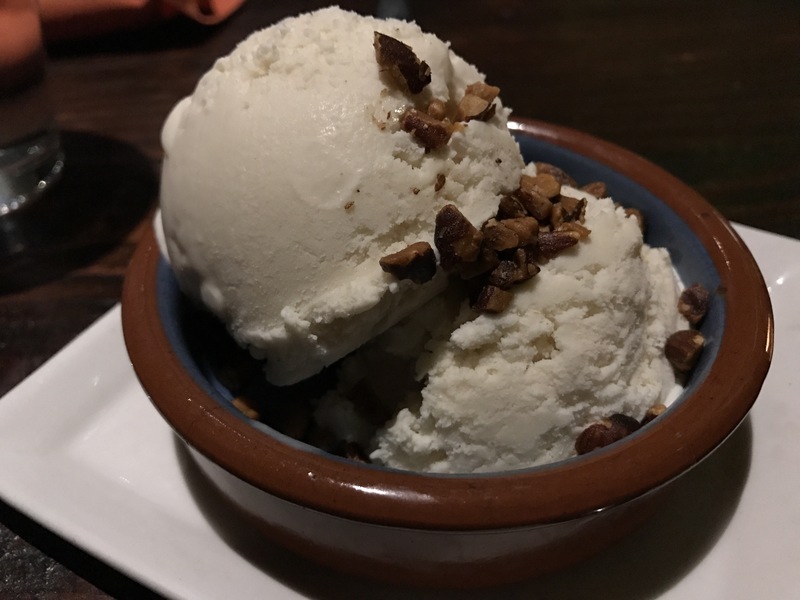 Our second restaurant visit was to a restaurant called Cucina Enoteca. My colleague and I again shared our dishes so that we could get a taste of everything. We enjoyed everything! Kale ‘Caesar’ salad with shaved brussles, celery, orange cognac raisin, parmesan frico, and a meyer lemon anchovy emulsion. Delicious artichoke hummus with a variety of bread choices. On our last evening, we went to a Greek restaurant where we again could share everything we ordered. I highly recommend a visit to Pom & Olive where the food is reasonably priced, plentiful, and delicious!! Our server must have been laughing at us because we ordered so many things and we even had to combine plated items so that we could fit everything on the table. Starter Combination Platter–Combination of traditional hummus, spicy hummus, black bean hummus, babaganoush, dolmades, samosa, and stuffed olives. Pita Fries–Crispy yummy pita chips served with a side of hummus. We got the fries for free by checking in to the restaurant on Yelp. Tabbouleh Salad–Diced tomates and onions mixed with quinoa and chopped parsley tossed with fresh-squeezed lemon juice and olive oil. That was a lot of food and we took home our leftovers for us to eat for breakfast before we left the hotel for the airport very early the next morning.